Brand new Townhouses ready for owners! When you walk inside, you are greeted with beautiful hardwood floors that lead you into an easy floor plan with an open kitchen to the great room, as well as a half bath! 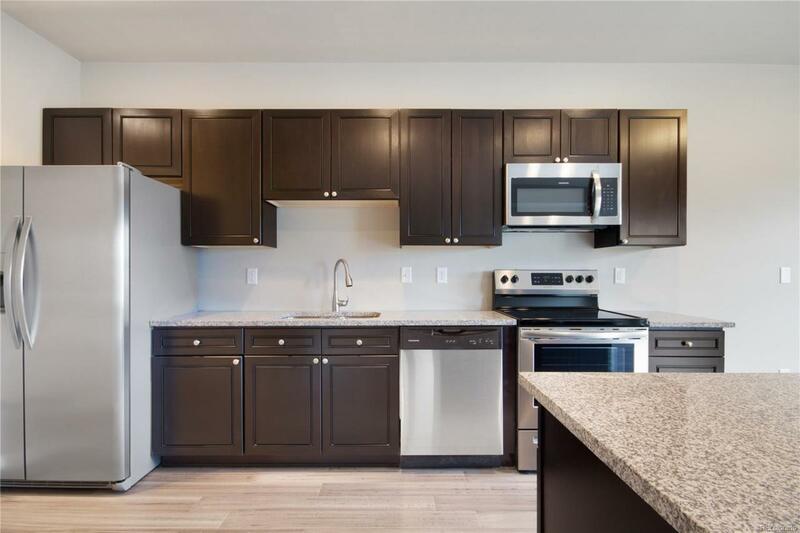 The kitchen is finished with granite countertops and stainless steel appliances, while the great room features large windows that invite natural lighting and look out on to the back patio. Upstairs, you'll find the spacious master bedroom with its own private bath, two large bedrooms, a laundry room, and an additional full bathroom complete with double sinks! Townhouses include 1 car attached garage! Easy access to CU Medical Center, bus, Light rail, and I-225. FHA, CHAFA, Aurora Hope and other down payment assistance or zero down programs welcome. Call agent for more info on zero or low down programs accepted. Taxes are estimated and subject to change. Offered by Ion Real Estate Inc..